Welcome to the Kwang-Ya Art Center , one of Dr. Kwang-Ya Wang ' s two main art centers that offers a umnique and lively of mainly Chinese art. 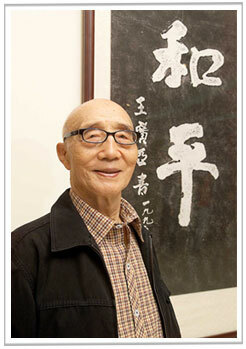 Dr. Wang is a well-known educator in Taiwan who has founded ten schools during the last 53 years, including three colleges, in the Taiwan-China strait. The KY Art Center is part of Yu Da University of Science and Technology , located in Miaoli county, Taiwan . It is a pravitely funded art center open to public, committed to the exhibition of main contemporary visual arts of Chinese including caligrphy writings and paitings, and sculptures made by Chinese artists. Its dynamic program of exhibitions and events complements the studies of Yu Da University ' s faculty and students in understanding arts. The KY Art Center was established in November 2002. It currently has tens of thousands of art pieces, collections of art books, Eastern and Western paintings, ceramics, and scultures by many famous Chinese artists such as Li Chi-Mao ( 李奇茂 ) and Juming ( 朱銘 ). The center enhances the provision of academic higher education at the College, and provides opportunities for development of networking the local and regional artists and students at different levels. It provides a forum for debate, convention, and training. Exhibitions at the KY Art Center typically displays an array of art piece seasonally, and it also focuses on the work of young artists, designers, makers and creators; are of particular interest to the local and regional community; an exhibition place that incorporates materials of local significance. The exhibitions are all designed to capture a diversity of approach, and are aimed at promoting enjoyment and understanding in arts. The KY Art Center is working hard to involve local and regional communities, developing links and networks through schools, colleges, community groups, and professional art galleries and centers.